A former school groundskeeper in California testified Monday in a landmark lawsuit claiming that repeated exposure to Monsanto's popular Roundup weedkiller caused his terminal cancer. "I would never have sprayed the product around school grounds or around people if I thought it would cause them harm," the 46-year-old Dewayne "Lee" Johnson told the San Francisco Superior Court jury, as quoted by the San Francisco Chronicle. "They deserve better." Dewayne Johnson v. Monsanto Company is considered a "bellwether" case. If Johnson is successful, it could open the door for roughly 4,000 other similar lawsuits against Monsanto. Conversely, if he loses, it could discourage the other cases. The plaintiffs claim that exposure to Monsanto's glyphosate-based herbicide caused them or their loved ones to develop non-Hodgkin lymphoma (NHL). The lawsuits also allege that the company suppressed scientific evidence related to the health risks of its weedkillers. In 2015, glyphosate was classified as a "probable human carcinogen" by the World Health Organization's International Agency for Research on Cancer. However, Monsanto and other government authorities, including the U.S. Environmental Protection Agency, have concluded that glyphosate is safe. Johnson, who worked from 2012 to 2016 at the Benicia Unified School District, told the courtroom Monday that he sprayed 150 gallons of Roundup 20-30 times a year and carefully used the product, KPIX 5 reported. "I figured if it could kill weeds it could kill me," Johnson said. "I took it seriously. That's why I wore anything I could to protect myself." However, he testified that even with protective gear he was exposed to the chemicals due to "drift." "You were getting it on your face everyday," he said, as quoted by the Guardian. "It was kind of unavoidable." Johnson also described two incidents where he was accidentally drenched by the herbicide. He called Monsanto's consumer hotline but said the company never returned his call, according to KPIX 5. Also on Monday, jurors were shown pictures of the skin lesions that developed over most of Johnson's body as a result of the cancer. Johnson described how the lesions caused suffering and diminished his self-confidence. 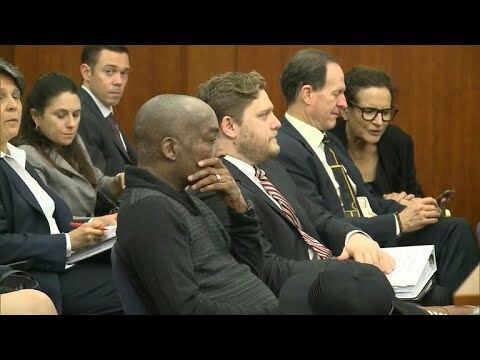 "We obviously have a huge amount of sympathy for Mr. Johnson and for his family, as we do with anybody who has cancer," Monsanto attorney Sandra Edwards told KPIX 5. "But the 40 years of science and data and experience with this product shows that it doesn't cause cancer." Johnson sued Monsanto in 2016 after being diagnosed with NHL. His case was expedited because of his poor health. The trial is expected to wrap up on Aug. 10, when Johnson is scheduled for a third round of chemotherapy. Environmental attorney and advocate Robert F. Kennedy Jr., who is part of a Roundup cancer litigation team, also attended the trial. He tweeted Tuesday that it was a "huge day in court yesterday."